Where does the trade buy printed boxes? Right here! Say hello to digitally printed packaging without expensive setup. We can print as little as 10 boxes with $0 setup. Our digital cutting technology gives you complete flexibility when designing your bespoke packaging. Short runs from only 10 boxes! Our standard range of stocks for boxes and packaging include a textured 280gsm Kraft Brown; a smooth and white Eco 350gsm that’s 100% recycled; our Professional 360gsm Artboard with semi-gloss sheen; and heavy 420gsm Premium Artboard. We can also source other quality and coloured stocks for your custom printed boxes. Our digital printing, finishing and cutting technology lets us produce short-run, boutique boxes and packaging for your brand. Say goodbye to expense setup fees and large minimum print runs for your boxes and packaging. 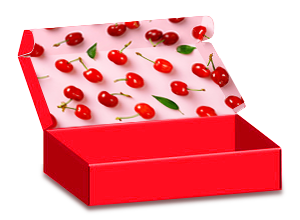 We can produce as little as 10 boxes for a great price! Digital cutting and creasing is the new technique in producing boxes and packaging. This is great news for the experimental designer and boutique packaging studio. 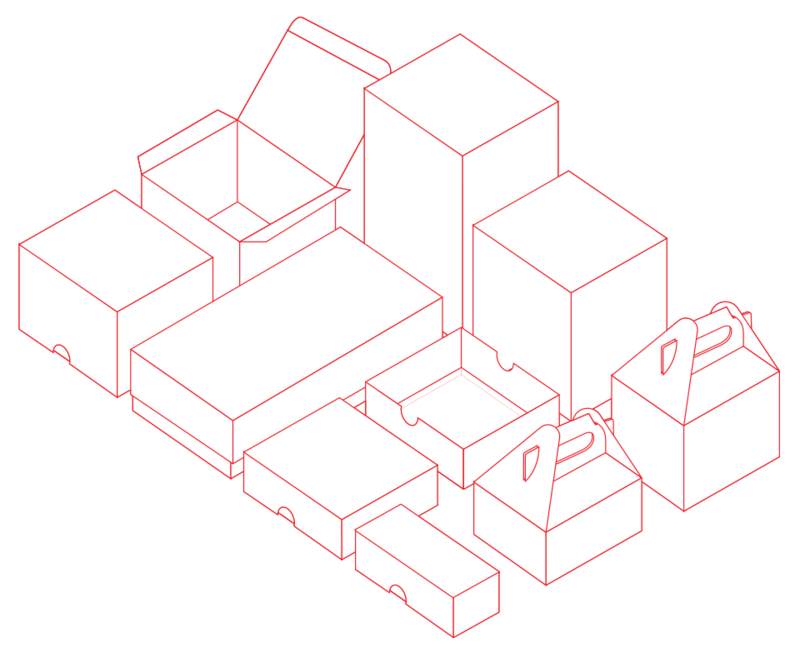 Use our artwork guidelines to produce your own custom box shapes and patterns. Print your packaging in glorious full colour, on the front and the back! Need spot colours too? No problem, we can add Pantone colours, metallic and neon inks, as well as specialised White Ink on coloured stocks. Give your packaging the bells and whistles it deserves! Layer on matte, gloss and velvet celloglaze, gold and silver foiling, Spot UV and 3D-UV Spot Gloss. Ask us for a custom quote to print and finish your very own boxes and packaging. Digital cutting and creasing for box packaging is all in the artwork file. We have easy to understand guidelines for your graphic designer, or we have a full design service for creating your very own bespoke packaging. An important part of preparing artwork for printing boxes and packaging, is the cut and crease lines. 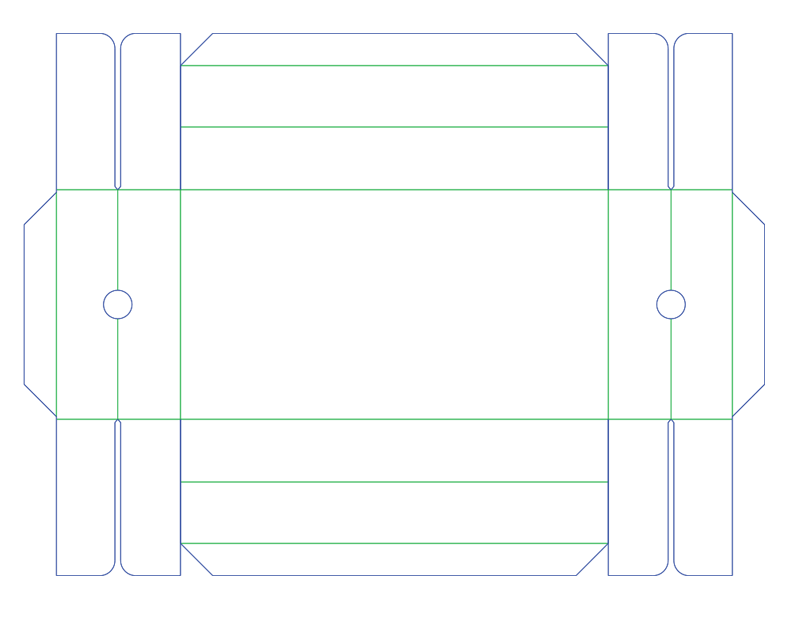 Cut lines determine where the card will be cut, and crease lines determine where the card will be creased (scored) so it can be folded. There should be one continuous cut line around the entire artwork, so that the box a clear outline. It’s important that there are no gaps in cut lines. Extra cut lines can be added for flaps, slits and voids in the box design. Vector artwork is required to produce cut and crease lines, therefore programs like Adobe Illustrator are best suited. To create a cut line in Illustrator, first create a custom spot colour named “Cut”. Use the spot colour named “Cut” as a stroke for the lines you want cut, and set the object to “Overprint” in the Attributes palette. Overprint enables us to use the cut line for cutting, and ignore it for printing. To create a crease line in Illustrator, do the same and create a custom spot colour named “Crease”, and use it to stroke lines that require creasing. Don’t forget to set all of these special lines to “Overprint” so we won’t print it. For double-sided printing, a second page is required in your PDF artwork. For the reverse side of your printed box, create a new art board in Adobe Illustrator. Cut and crease lines are not required on the reverse side, however it’s highly recommended to use a flipped version of your cut and crease lines as a guide.